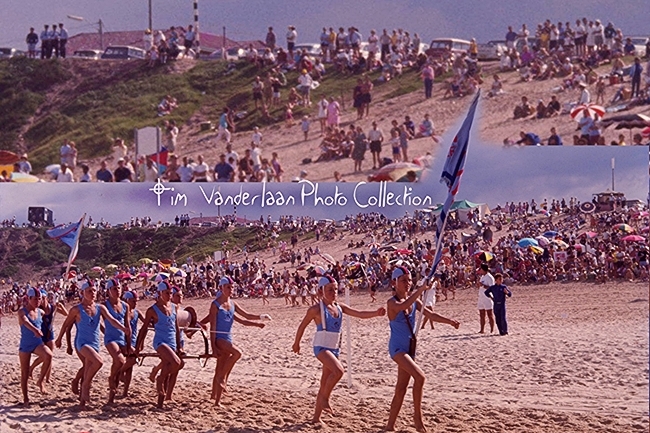 Cronulla Wahines Wanda comp Circa 60s photo Bob Weeks. The Bay 1962, another Bob Weeks classic image. 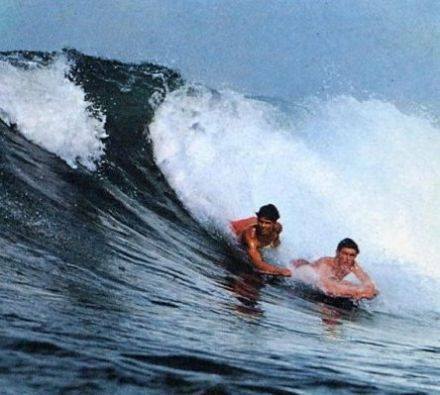 1965 Lewis Cawsey bodysurfing with a hand plane and Greg Vaughan bellyboarding, at Cronulla Point. Photo Jack Eden. At home we used to make our own boats and we had marine ply. I got the idea of what was going on in the surfing scene and made my own paipo board. 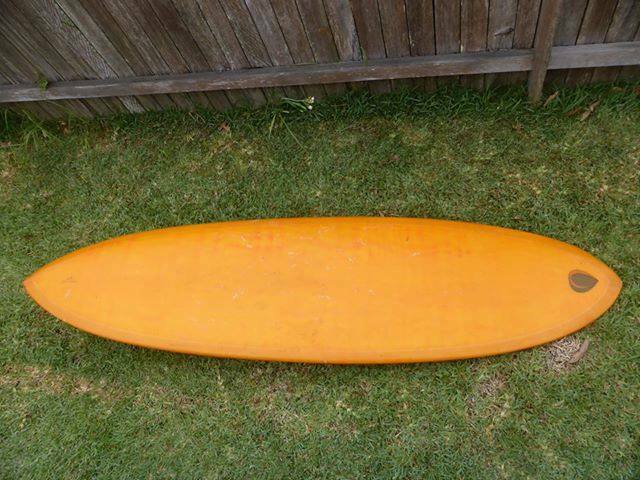 I had a mate up the street, Greg Vaughan, who ended up buying his own bellyboard (two fins) from school friends. Swim fins came from the Bob Frazer Sports Store in Cronulla, near the theater. 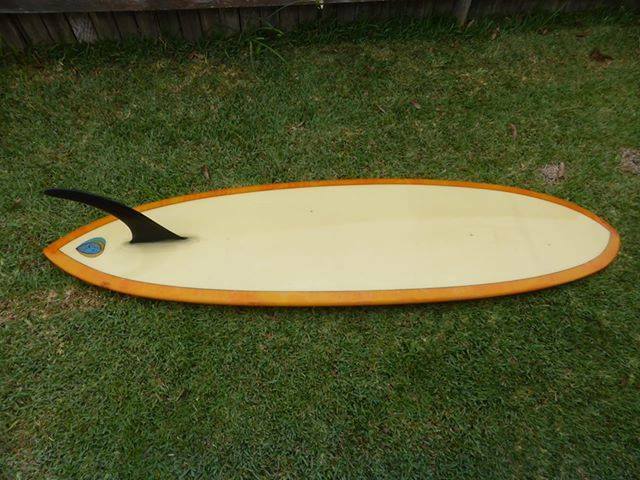 Greg’s board had a laminated wood resin finish and two fins—nice board. Mine was just marine ply and varnished. My ply paipo board was also used as a skim board when the surf wasn’t working.